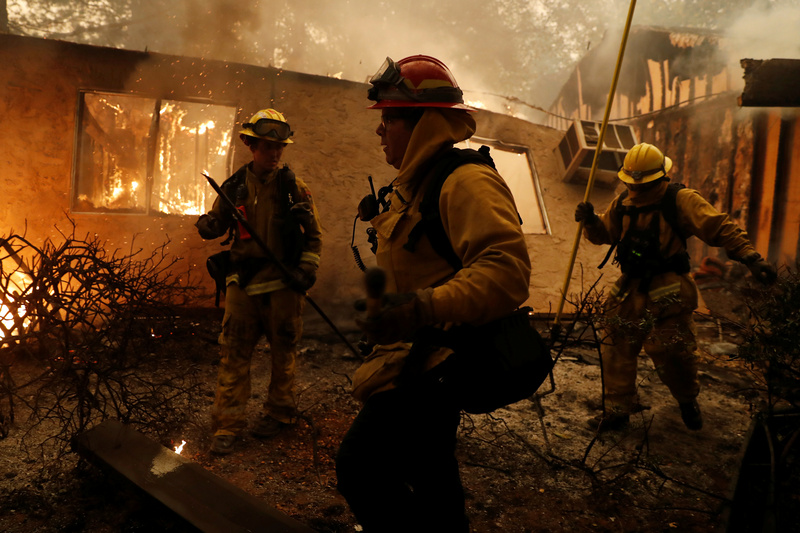 A federal judge reprimanded Pacific Gas & Electric (PG&E), California’s largest utility, for its role in starting deadly wildfires across California in the past two years. U.S. District Judge William Alsup opened a Wednesday court hearing by comparing PG&E to a drug dealer who violates his probation by allowing its equipment to ignite massive fires. PG&E filed for bankruptcy Tuesday, facing more than $30 billion in wildfire-related liabilities. “Those fires killed 22 people, burned alive in their cars and homes,” Alsup said in court Wednesday, the Chico Enterprise-Record reported that evening. “There is one clear pattern here: PG&E is starting these fires. Global warming is not starting these fires,” Alsup said. California officials blamed PG&E for 17 northern California wildfires in 2017 and investigators are looking into whether or not the utility’s equipment sparked 2018’s Camp Fire. That fire killed 86 people and destroyed thousands of homes and businesses. In the wake of the fires, PG&E lobbied California lawmakers to change wildfire liability laws, arguing global warming increased wildfire risks beyond what utilities could handle. State law holds utilities liable for wildfire damages even if there was no negligence. However, state officials did clear PG&E of liability in the Tubbs Fire, which killed 22 people in Sonoma County. Officials determined private electrical equipment sparked the fire. Alsup could require PG&E to shut off power to electric lines during high-wind events and could order the utility to embark on the costly effort of trimming trees and removing debris from around its power lines. “PG&E is not the only source of these fires, but it is a source and to most of us it’s unthinkable that a public utility is causing that type of damage,” Alsup said.